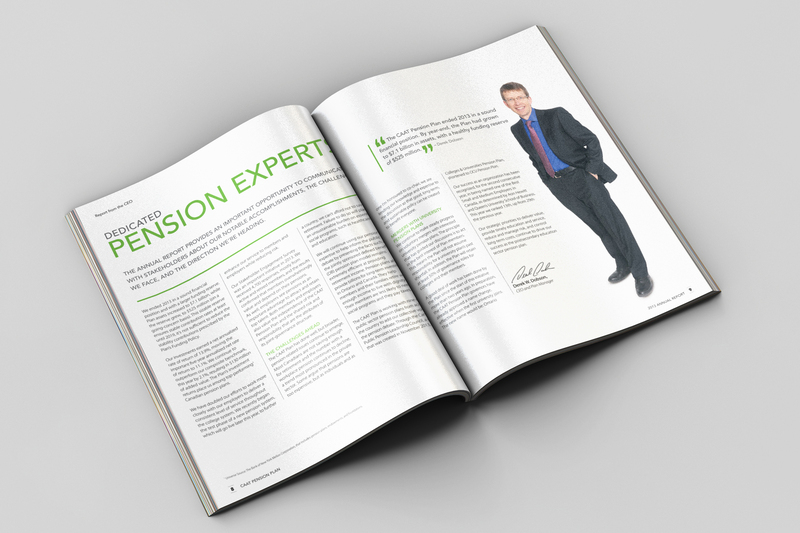 CAAT Pension Plan is a multi-employer, defined benefit plan, overseeing retirement savings and administering benefits for members. 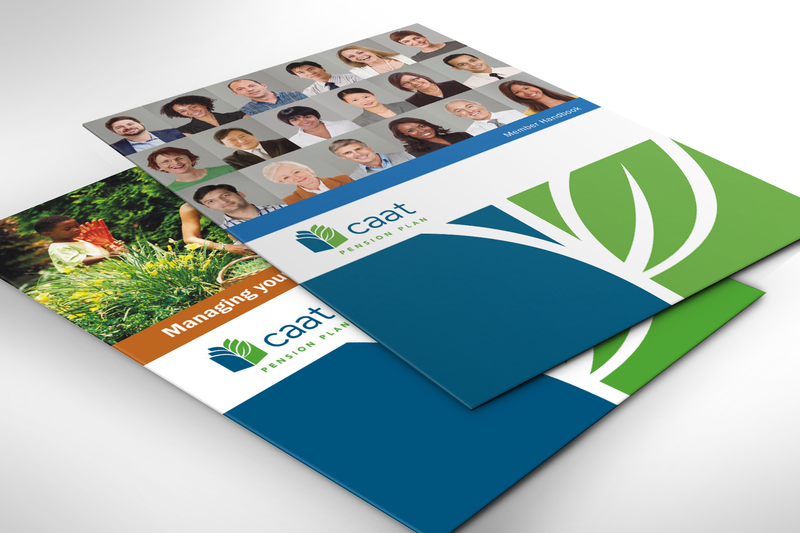 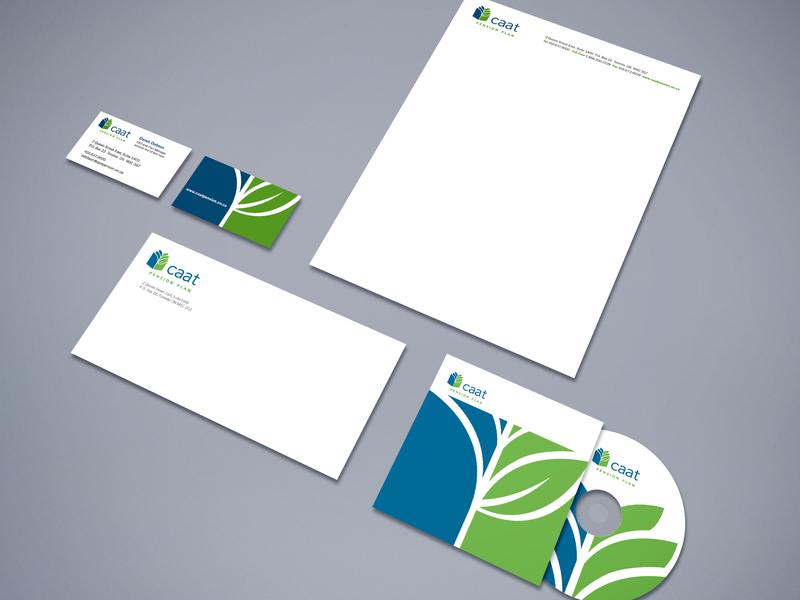 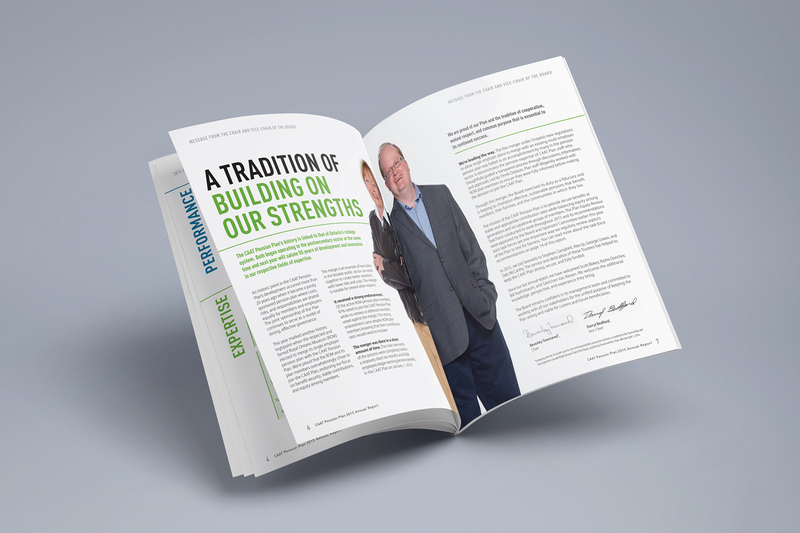 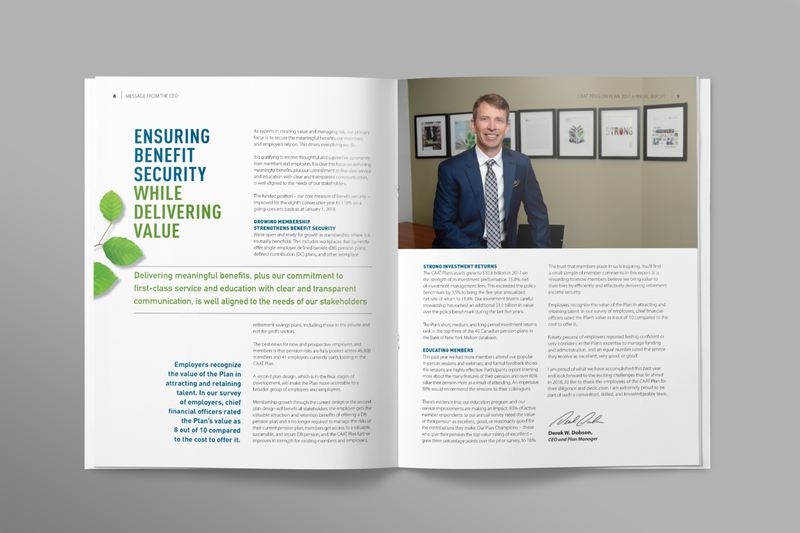 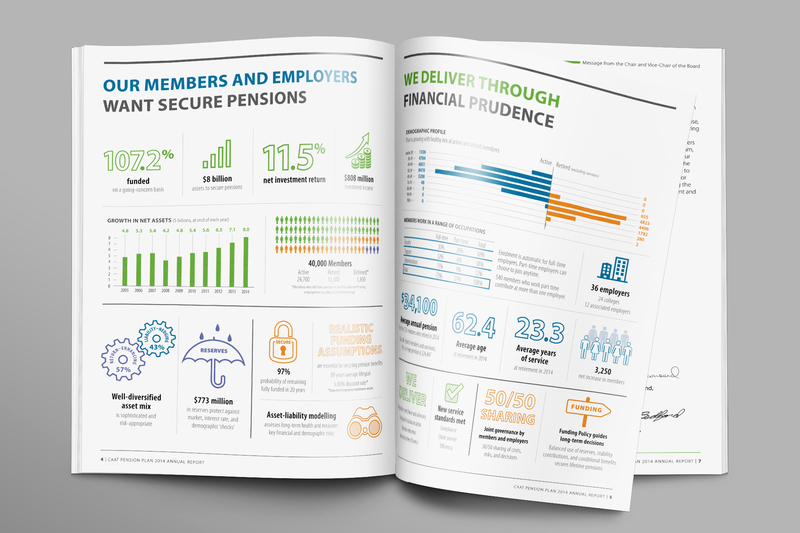 Our challenge: to refresh CAAT’s visual identity and create concept-driven annual reports to inspire member confidence. 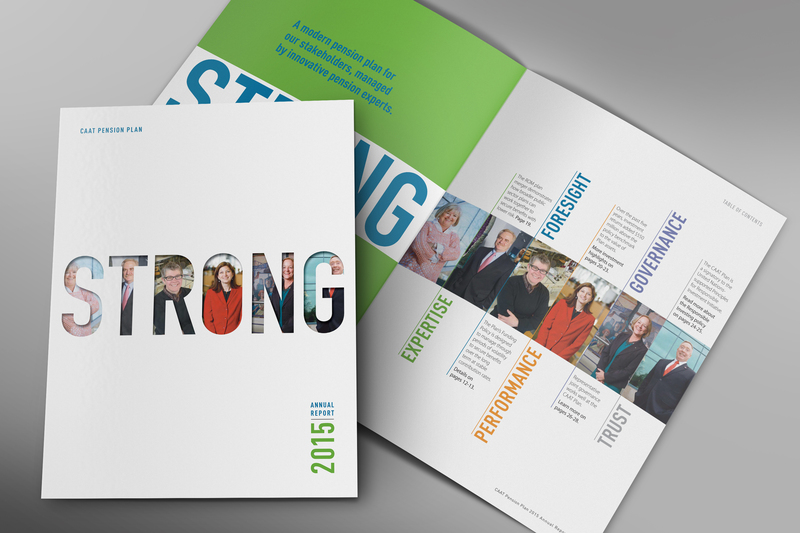 They say two heads are better than one. 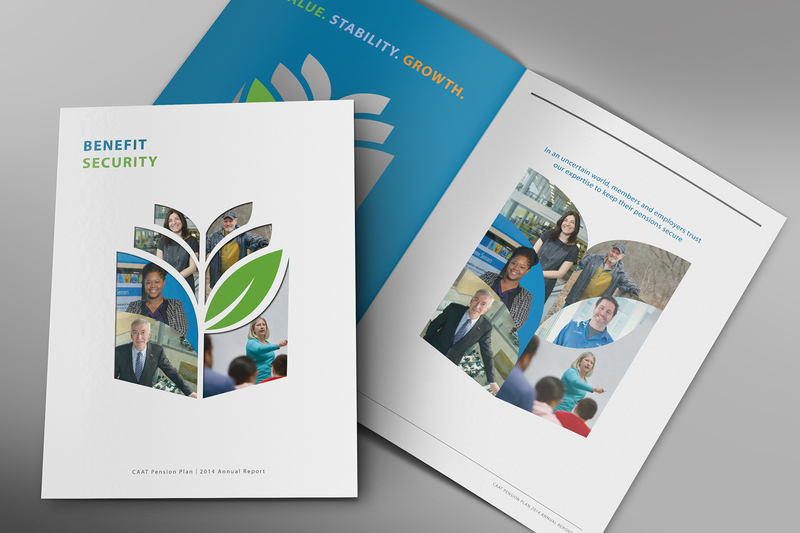 We agree, which is why we engaged the entire CAAT Pension Plan staff to join us in a brand visioning process. 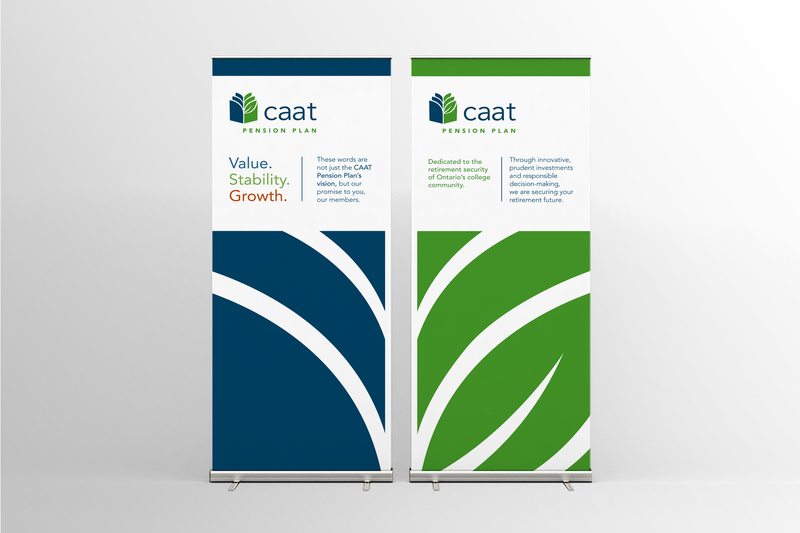 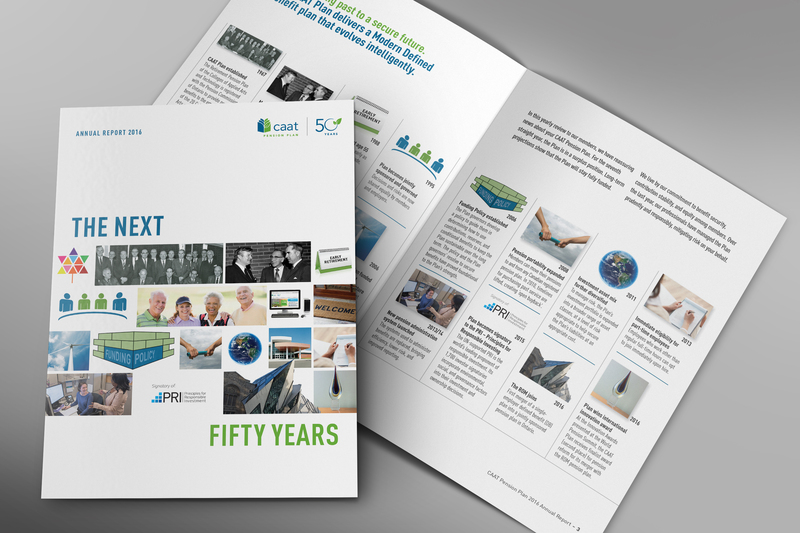 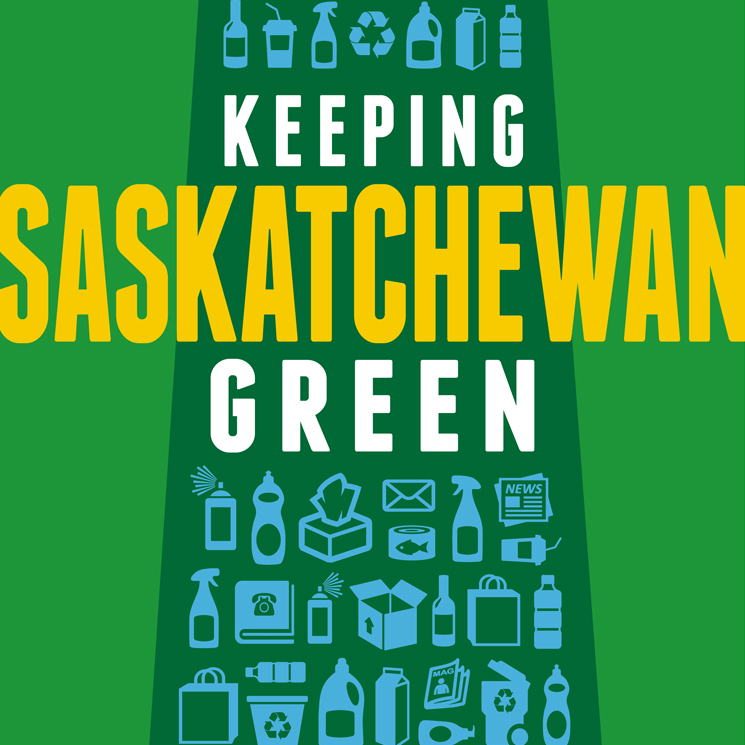 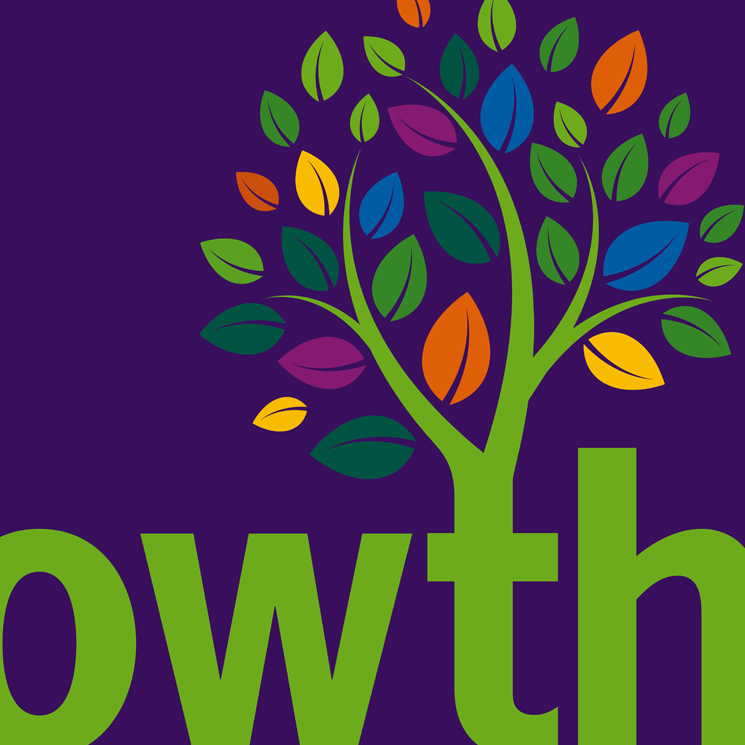 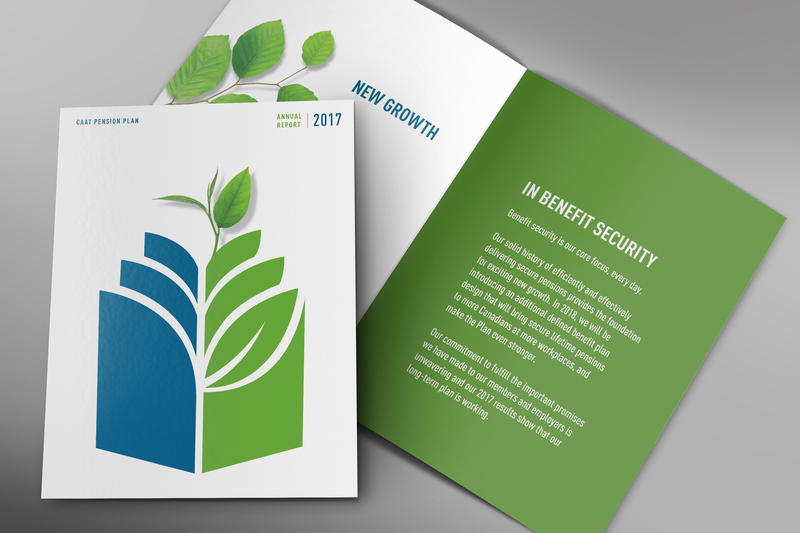 The result was a much-loved logo with book and tree imagery, combined with corporate colours to reflect the “green pastures” of retirement, grounded by the conservative blue of CAAT’s investment strategy. 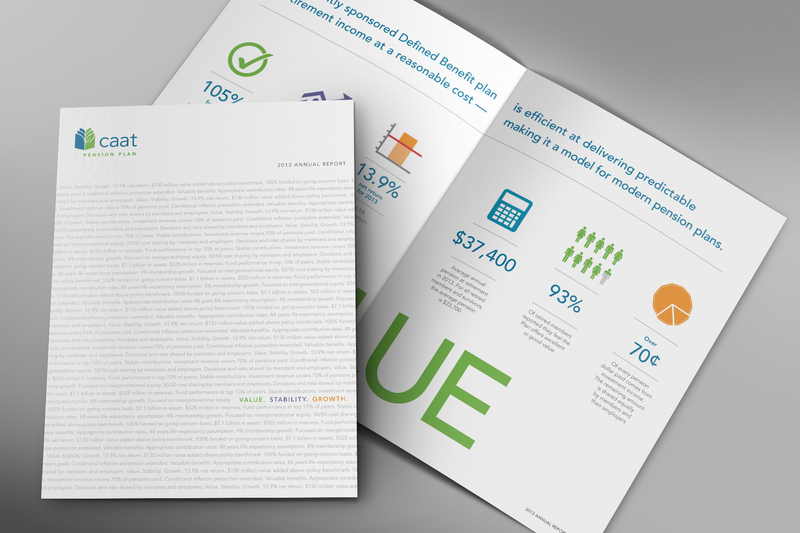 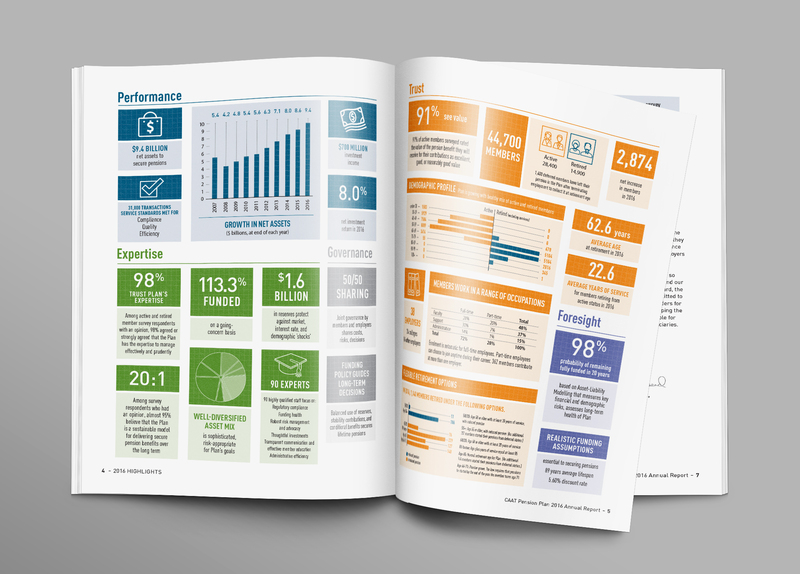 Concept-driven annual reports keep the brand fresh to this day.